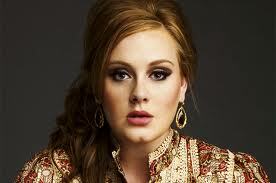 British sensation Adele took home not one, not two, not three, but six Grammy Awards this past weekend. She also made her big stage comeback by performing her hit Rolling In The Deep after undergoing throat surgery late last year. Adele made a major impact at the award show and was one of the few that proved that music should be from the soul, and via lip-syncing or enhancements. She has an amazing voice and then it transforms as soon as she starts to sing. She deserves all of the great accomplishments and awards that come her way. This entry was posted in Media, Music and tagged Adele, Blended Entertainment, Entertainment, Grammys, Music, United Kingdom. Bookmark the permalink.